Some of the works participating in the 2013 competition. En bok i världsklass (approx. 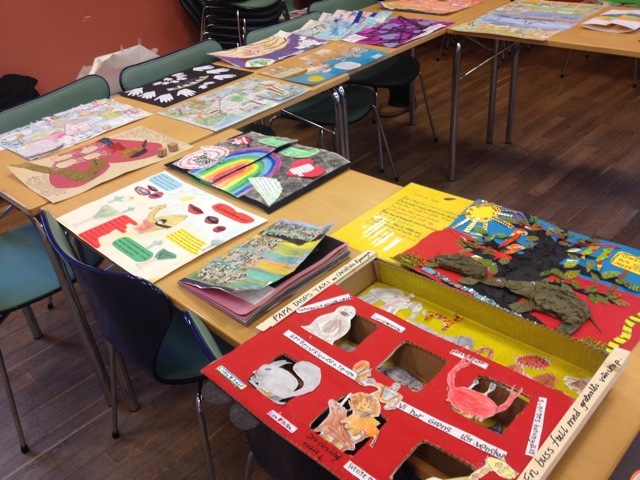 A World Famous Book) is an annual competition where Stockholm school classes creates pieces that consists of picture and text, related to a book the class has read. The competition is a part of the reading promoting project Barn & böcker (Children & Books). ALMA has the privilege to have one representative in the jury for En bok i världsklass. It is always joyful to take part of all the amazing creations, and always a very hard task to choose between them. The theme for the 2014 competition is “New worlds”. 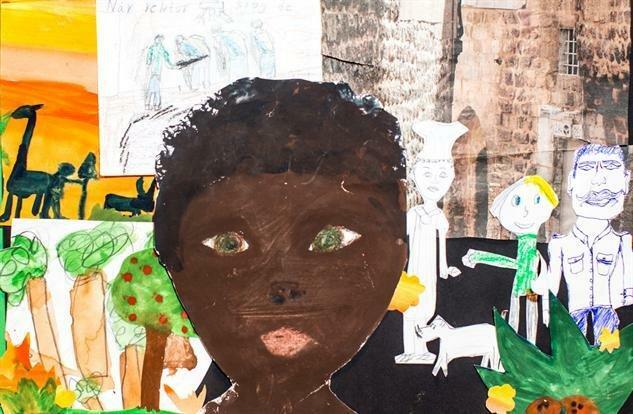 All contributions will be exhibited at the Stockholm public libraries during the spring. And in May next year, during the ALMA award week, the winners are announced. 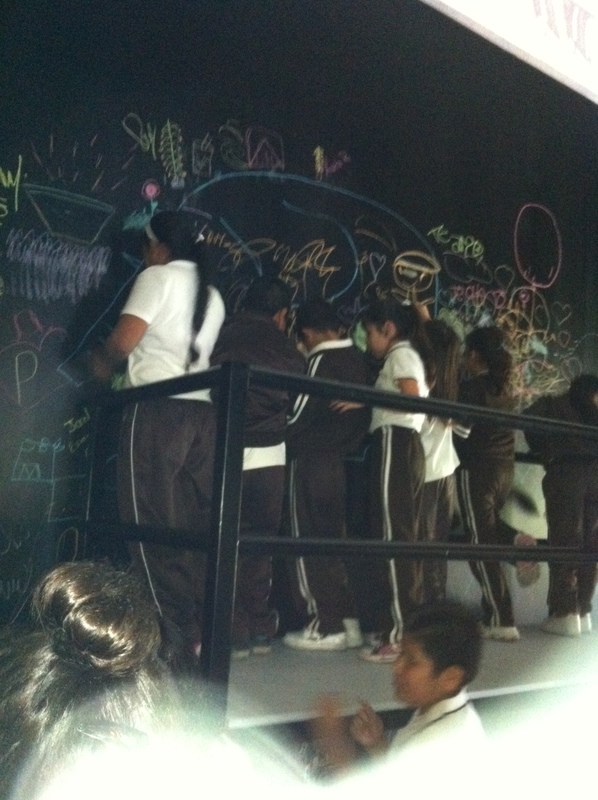 Then we’ll see what kind of new worlds the young participants have chosen to explore. Stockholm teachers can read more about the competition, and register to participate (before January 24!) here. Barn & böcker is a co-operation between the Education Department of Stockholm City Council, Stockholm City Library, Skansen, and the Astrid Lindgren Memorial Award. 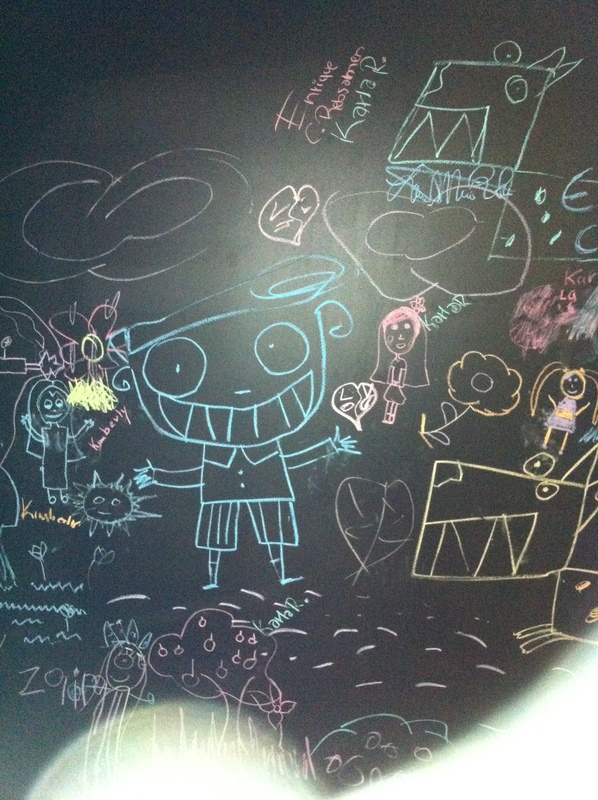 More examples of the student’s works. 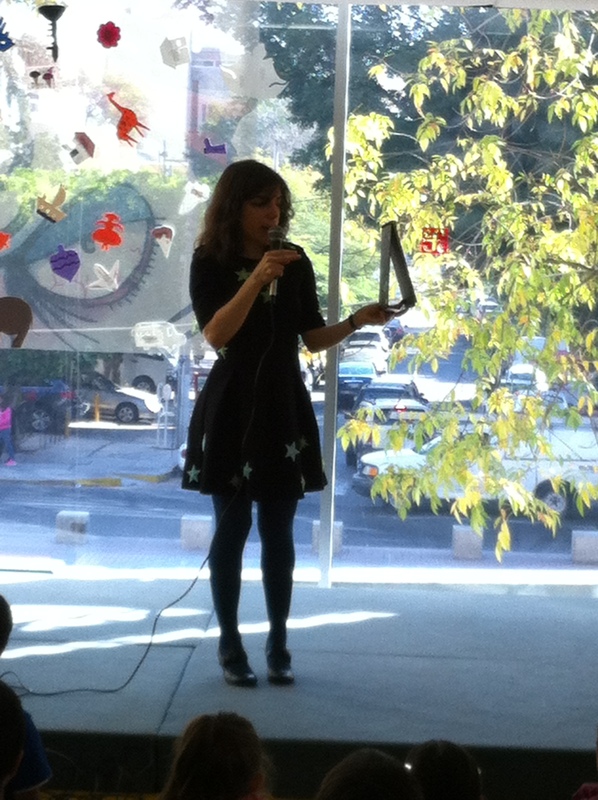 Irma Gallo, reporter at Mexican culture channel N22, interviewed Isol during her participation at FIL Guadalajara. Astrid Lindgren’s childhood home at Näs. 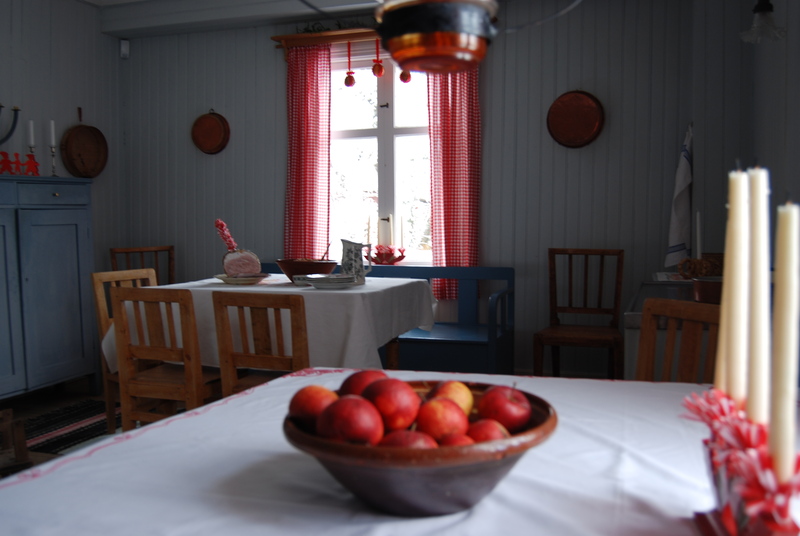 Travel a hundred years back in time at Näs in Vimmerby, in the south of Sweden. It was here Astrid Anna Emilia Ericsson was born more than 100 years ago. Her father was tenant farmer at the rectory. 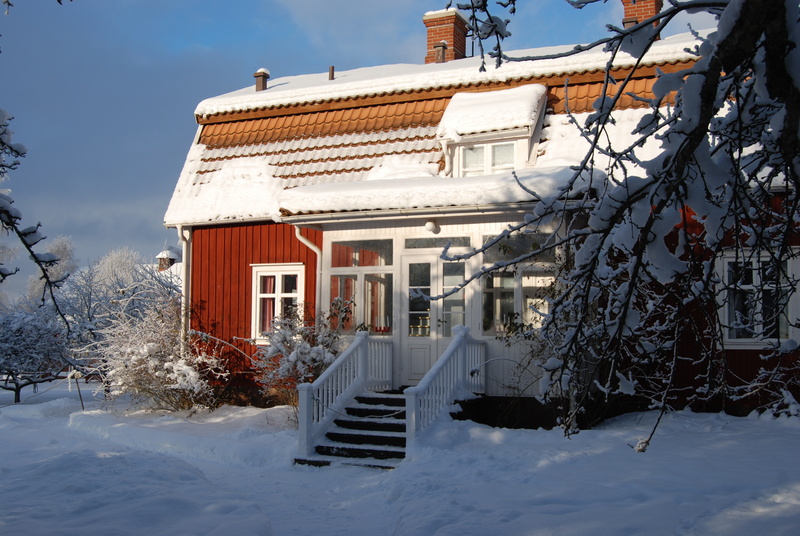 Today cultural centre Astrid Lindgren’s Näs start guided tours at her childhood home focusing on how the Ericsson family celebrated Christmas when Astrid was a girl. Learn more about the family’s Christmas traditions, and to be more exact, to Astrid Lindgren’s strongest Christmas memory dated back to 1913. Smell the aroma of cinnamon and cloves, and listen to Astrid’s father Samuel August reading the Christmas Gospel in a unique recording. Link to Astrid Lindgren’s Näs here. 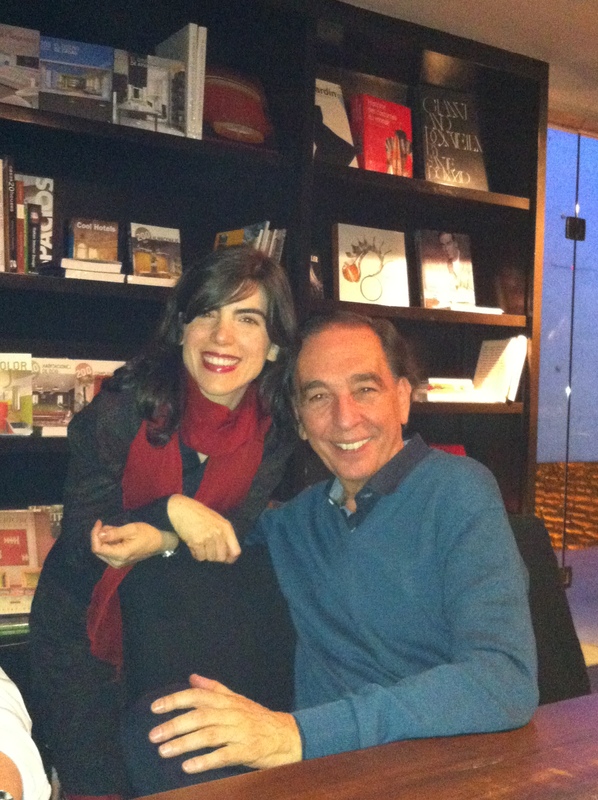 When in Guadalajara Isol met with many literary friends, among them the poet Jorge Luján, also from Argentina but living in Mexico. Isol has illustrated several of his books, among them Numeralia. 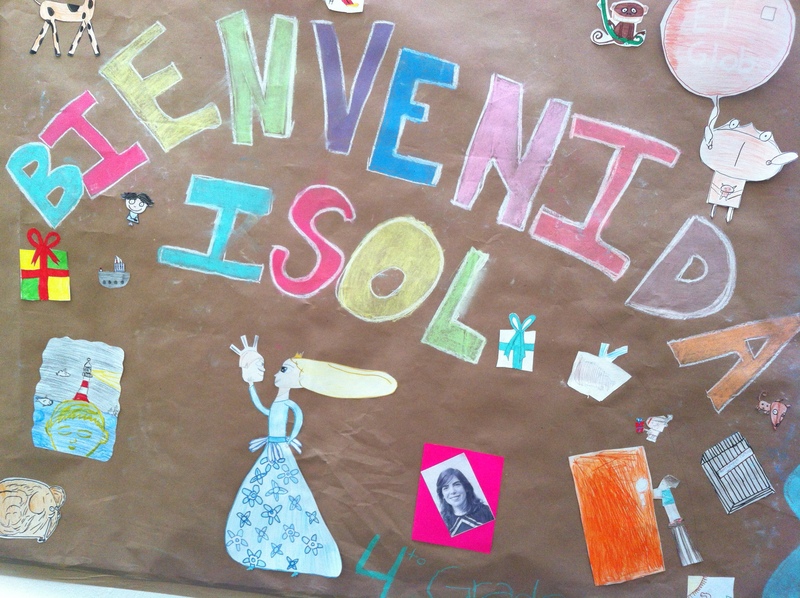 Isol participated in several workshops for children at the fair and in the book shop Librería José Luis Martinez, where the children had had read Secreto de Familia in advance and then made drawings of invented strange family members. 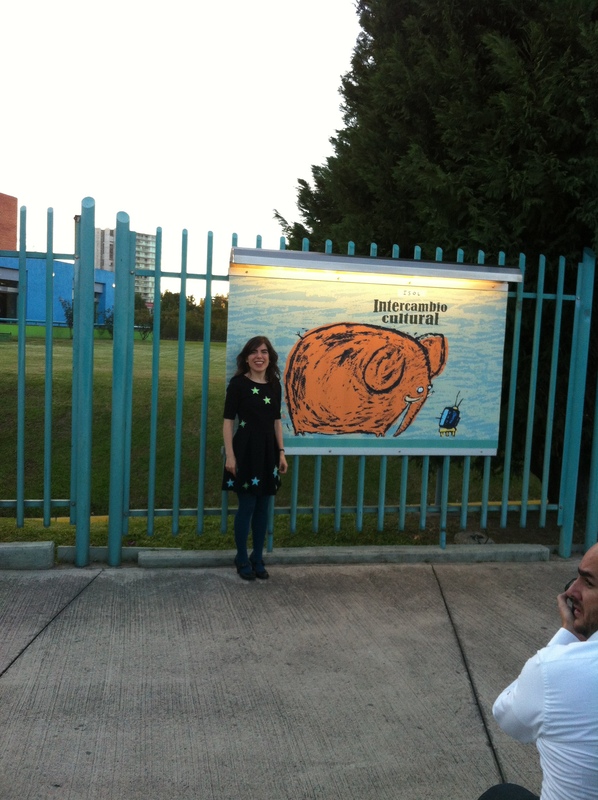 An outdoor exhibition with Isol’s illustrations were inagurated before she left Guadalajara at Museo El Trompo Mágico, an interactive eventful place for play and knowledge. 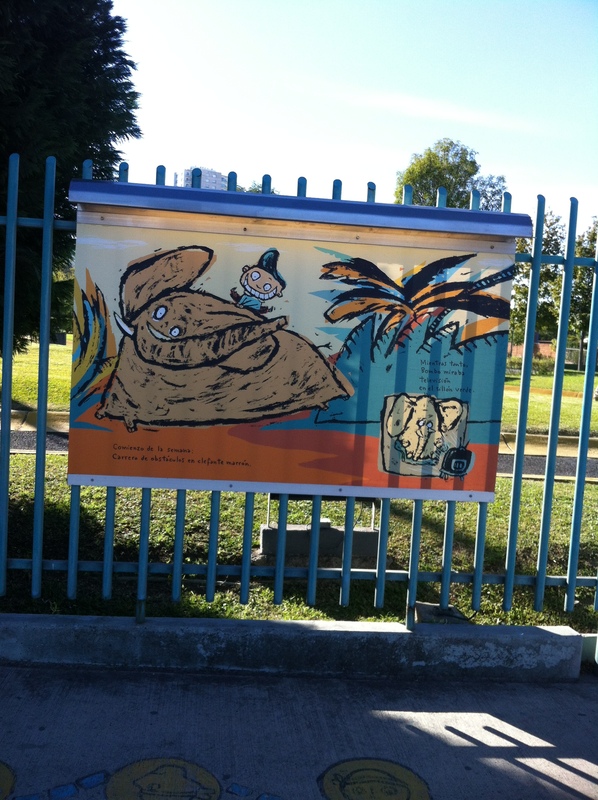 People waiting in the cars during traffic stockings can now see illustrations from Intercambio Cultural, Vida de Perros asnd La Bella Griselda. 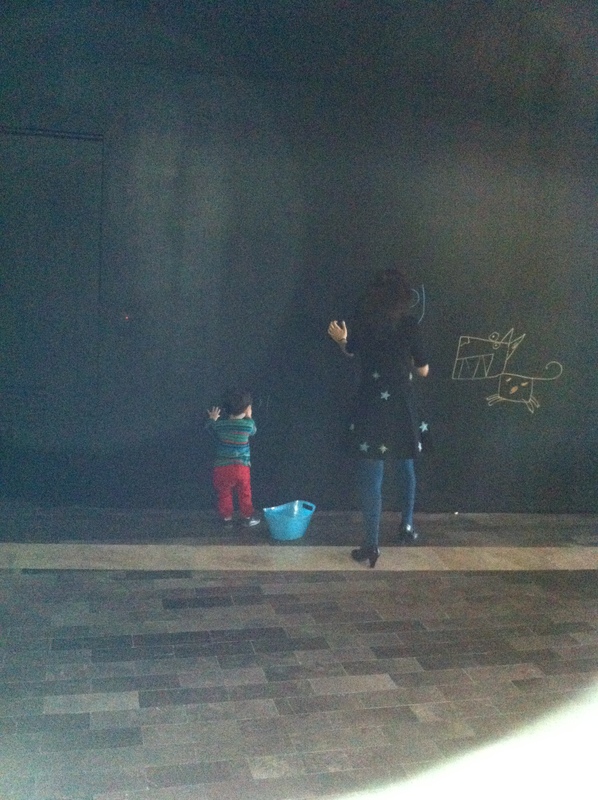 Finally Isol started drawing an illustration on the museum wall (with the help of her son Antón) and children from neighbourhood schools compleated the drawing. All photos are taken by Helen Sigeland.